The deadline for bookings for the IWMW 2018 event is fast approaching – the official deadline is Monday, 18 June! 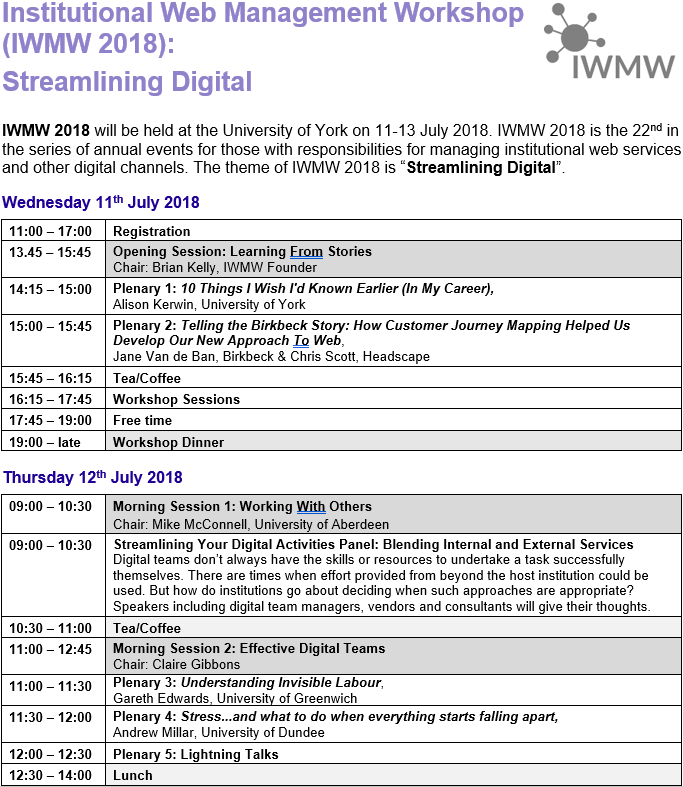 Since the annual IWMW (Institutional Web Management Workshop) was relaunched in 2014 we have seen a significant growth in the numbers of newcomers to the event and this continue this year with over 30 delegates attending for first time, joining over 40 delegates who have attended between one and four previous events. In light of the growth in the numbers of newcomers to the event – and possibly also to the higher education sector – this year, for the first time in the event’s 22 years – we will be providing a Delegate Handbook, which will not only summarise the event but also explain the importance given to the growth and development of a sustainable ‘community of practice’ for those with responsibilities for the provision, management and development of large-scale institutional web services and other digital channels. 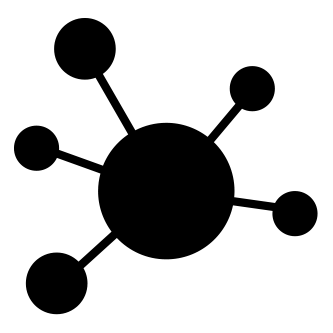 We are also introducing a new Buddy Scheme for anyone newcomers to the event who with to be paired up with a more experienced IWMW attendee for some or part of the event. More details on this will follow soon. A panel session on “Blending Internal and External Services” will provide an opportunity to hear about the approaches which can be taken when digital teams work with external bodies, such as services providers and consultants, in order to support the development and delivery of digital services. Since the programme was first announced a number of additional masterclass sessions have been added, including Maximising User Experience with Limited Resource (session B8) and Overcoming SEO Challenges to Optimise Your Website (session B9). Note if you have already booked for the event and selected your masterclass session you can amend your selection by visiting the registration page, selecting the “Already registered option” and logging in with your email. address and confirmation number. If you would like an opportunity to speak at the event, you can do so as there is a slot for a small number of lightning talks – get in touch to have a chat. Note that the event costs £400, which includes 2 nights’ accommodation, a conference dinner and barbecue. Visit the registration page to book your place!